The Orchestra Department of the Las Vegas Academy includes 260 talented string, woodwind, brass, and percussion students who are either pursuing a career in the performing arts or are interested in improving their skills on their chosen instrument. In addition to four directors, we have paraprofessionals tutor students on a regular basis. Many of our graduating seniors receive major scholarships to colleges, universities, and conservatories. The Las Vegas Academy Strings performed at the 2003, 2009 and the 2014 Midwest Clinics, the 2005 ASTA Convention in Reno, the 2006 MENC Convention in Salt Lake, Orchestra America Festival in 2007 in the Indianapolis Symphony’s Hilbert Theater, the ASTA 2008 competition in Albuquerque and the New York Philharmonic’s Avery Fisher Hall in 2009 as a part of Distinguished Concerts International. Other notable performance tours include Hawaii, Massachusetts, Connecticut and Spain. In addition to a reputation for musical excellence in performance, the curriculum offers major courses in band, orchestra, vocal music, guitar, jazz, Mariachi, and piano. Elective classes are offered in music theory, music technology, conducting, handbells, philharmonic orchestra, world music studies, chamber music. In the past few years our Theater Department and Philharmonic members have performed Oklahoma, In the Heights, Guy's & Dolls, West Side Story, Hairspray, Cats, The Wiz, Joseph and the Amazing Technicolored Dreamcoat and the high school premiers of Little Women, Miss Saigon, and Sweeney Todd. In 2013, Las Vegas Academy of Arts received the Outstanding Arts School Award from the Arts Schools Network (ASN), the nation's largest professional membership organization of specialized arts schools. This award is presented to an Arts Schools Network member school with an outstanding record of overall excellence in the categories of faculty and student achievement, community recognition and involvement, arts and academics integration, curriculum innovations, continuing growth and development, and state and national recognition. The Academy was also designated as a 2013 Magnet School of America School of Distinction. Thank you to all the Directors of the LVA Orchestra. Click on a name below to learn more about them. Eric McAllister received his Bachelors of Music Education at Utah State University while studying Violin Performance with the quartet in residence, the Arcata String Quartet. He taught High School, and Jr. High School orchestra in Farmington, New Mexico for two years before moving to Las Vegas, Nevada. Eric received his Masters of Viola Performance while studying with Andrew Duckles and Beverly Bias at the University of Nevada Las Vegas. Eric has performed with the Utah Festival Opera company each summer since 1995, the Las Vegas Philharmonic since 2001, and with the other musical organizations such as the Nevada Chamber Symphony, San Juan Symphony in Durango Colorado, Showcase Chamber Ensemble in Farmington New Mexico, The Willow Valley String Quartet, The Candlelight String Quartet, and currently the Seasons Quartet. Eric has performed in Las Vegas with performers such as: Andre Bocelli, Josh Groben, Harry Connick Jr., Itzhak Perlman, Placido Domingo, Benjamin Zander, Johnny Mathis, Smokey Robinson, Donna Summer, Rascal Flatts, Linda Eder, Alan Parcens Project, Dennis DeYoung/Styxx, Air Supply, The Scintas, Danny Gans, Frank Sinatra Jr., Mary J. Blige, and Dave Stewart/Eurythmics, Richard Marx, Willie Nelson, Merle Haggard, Martina McBride, Emmylou Harris, Carole King, Mavis Staples, Pat Monahan, Jennifer Hudson and others. Mr. McAllister has taught orchestra in the public schools since 1999. He has been teaching at the Las Vegas Academy of The Arts as Co-Director of the Orchestras and Chamber Music since 2006. Brian Downey is entering his 16th year as a music teacher at the Las Vegas Academy of International Studies, Visual, and Performing Arts, and his 25th year in teaching. Mr. Downey is a graduate from the University of New Mexico where he earned a Bachelor’s degree in Music Education. He recently earned a Masters in Arts from Southern Oregon University in 2005 through the American Band College. While earning his undergraduate degree he was Bass Trombonist in the Santa Fe Symphony for three years, substitute for the New Mexico Symphony, as well as performing many other jobs on call. His teaching career has taken him to positions in El Paso, TX, Rio Rancho NM, and Clark County, NV. In 2005 Mr. Downey was named as Nevada’s “teacher that make a difference” in music education in America by String Band and Orchestra Magazine. 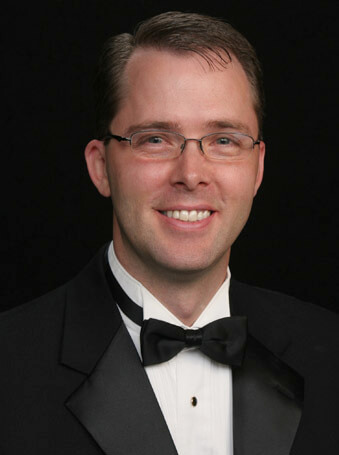 Mr. Downey is a former director for the Las Vegas Youth Symphony (2002-2008). 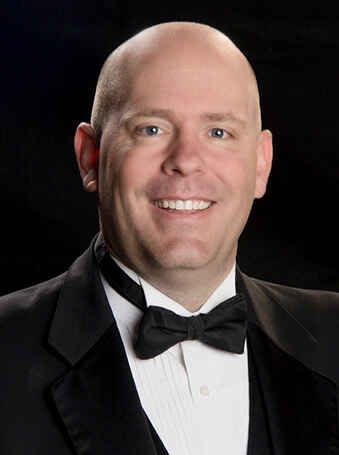 In addition to his directing responsibilities, Mr. Downey has been the Clark County Band Director Association’s president from 2001-2003, and a Past President for the Nevada Music Educators Association. (2003-2009). 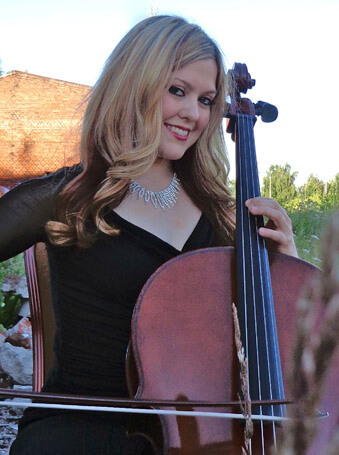 Lindsey Springer is a multi-genre cellist who received her Master’s Degree in Cello Performance from the Cincinnati College Conservatory of Music. Her career includes performances in the U.S. and Europe as a chamber musician and soloist. Currently, she is the principal cellist for Celine Dion's show in Las Vegas, NV. She also recently toured with Adele during her World Tour in 2016. Versatile in many genres, Lindsey has performed with Andrea Bocelli, Beyonce, Carrie Underwood, David Foster, Kanye West, and Rod Stewart. She performed at the 2013 and 2016 Grammy Awards, the Latin Grammys, American Music Awards, Soul Train Awards, Country Music Awards, and Billboard Awards. As a recording artist, Lindsey has recorded numerous albums, including Beyonce's Live in Las Vegas DVD, Air Supply's album "Mumbo Jumbo," and Celine Dion's platinum album, "Sans Attendre." Lindsey was also the featured cello soloist on Celine Dion's first Facebook Live video, "Winter Song." Lindsey has performed and traveled on electric cello with string quartet, Phat Strad. Her Broadway experience includes productions of The Lion King, The Phantom of the Opera, The Producers, Sound of Music, Funhome, and Matilda. She has also performed with the Las Vegas Philharmonic and the Nevada Ballet. Juliann McAllister has been around music and dance her whole life. Dancing since she was two years old, her favorite has always been ballet. After performing on stage for years, she enjoyed teaching ballet until she pursued one of her other passions - a culinary arts degree. Her deserts have won many prizes and hearts. 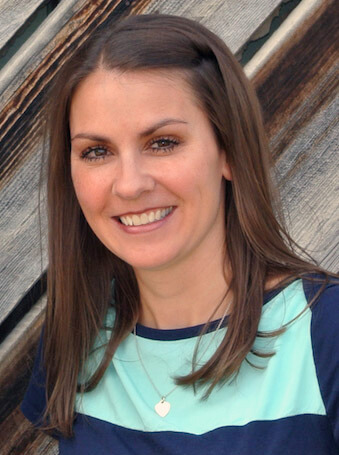 Her daughter recently graduated from LVA and is pursuing a music degree. Her son is a current student in the LVA orchestra department.